The Mahoney name begins with Mahon (Irish Mathghamhain), son of Cian Mac Mael Muda and Brian Boru's daughter Sadhbh. Cian succesfully lead Brian Boru's second division in the Battle of Clontarf in 1014, but died just days later at the Battle of Magh Guilidhe. Mahon then became the chief of the Eóganacht Raithlind tribelands from Cork City to the Mizen Head. His descendants came to be called the O'Mahony in his honor. The Mahoneys are found primarily in County Cork in the lands that used to form the Eóganacht Raithlind territory, especially in the areas of Bandon (where Castle Mahon once stood) and on the Mizen Peninsula where the O'Mahonys built at least nine castles. Nearly all of the land held by the O'Mahonys was confiscated by the English in the late 1600s following the Desmond Rebellions. 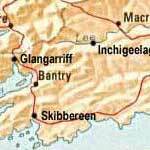 A map of southern Ireland, the area where our Mahoney ancestors came from. Researching the Mahoneys is very difficult simply because there are so many of them! So often, there are several Mahoneys listed in a record that might be an ancestor but it takes a lot of research to figure out which one is really the relative I am looking for. This is only complicated by the fact that there are many different ways to spell the Mahoney name. So far, in the records I have found for my family, the name has been spelled Mahoney in America and Mahony in Ireland but it is not uncommon to also see it spelled as O'Mahony, Mahowney, or even McMahony. I would like to mention here that without the help of my great-uncle Dan Mahoney, I could never have found as much information as I now have nor would I have been able to take the family history back any farther; I owe him a great debt of gratitude. I believe that Jeremiah and Hannah's first two daughters, both named Hannah, passed away at a young age; it was a fairly common practice to reuse the given name of a child who died at a young age so as to keep the name in the family. The family was very poor in those troubled times in Ireland; both John and James died at a young age and every other child except Daniel left for America. Daniel stayed in Inchigeela and married Mary OLeary. They had one son, Michael, who was the local postman. He has since passed away but his wife still lives in the Mahoney home in Inchigeela. It is not known which of Michael and Abbey's children came to America first but what is certain that all the brothers and sisters ended up in the San Francisco bay area, each sending money back to Ireland so that the others might make the trip. Timothy Mahoney came to America on May 10, 1911 on the ship S.S. Carmania (see his passenger record). As soon as he landed in New York he left to meet his brother John who was in San Francisco. Once there, he got a job working for the Southern Pacific Railroad and was later a Motorman on the Market St. Railway. During this time he met Mary Sullivan, another Irish immigrant from Glengarriff, County Cork who was working in the city as a Domestic. They were married and moved into a cottage together at 315 27th Street in San Francisco. Timothy got a new job as a Car Inspector to support his wife and two sons, Michael and Jerry (born Dec. 17, 1917 and Nov. 15, 1919 respectively). Late in the year of 1920, the Mahoneys moved to a bigger house at 355 Clipper St. Daniel was born there on (living) and Timothy got a job as a San Francisco Police Officer shortly thereafter to support his growing family. Margaret (Sep. 26, 1923) and James (June 6, 1925) were born at the house on Clipper St. before the family moved in 1929 to a house at 1339 15th Avenue in a neighborhood of mostly Irish immigrants. Emmet was born shortly after the family moved there and this is the house that all of the kids would grow up in. They all went to St. Annes Grammar School. 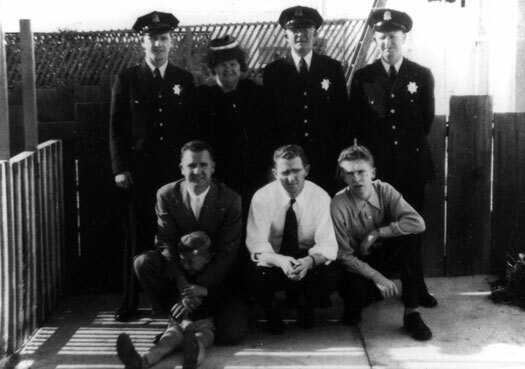 The Mahoney family circa 1946 in San Francisco. On November 1st, 1953, Timothy died at the age of 67 while still working as a police officer. Mary would follow him in death on October 2nd, 1967 and they are buried together in Holy Cross Cemetery just outside of San Francisco (view Timothy's and Mary's obituaries). 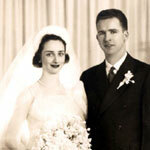 Jeremiah Mahoney moved to Sacramento and married Sheila OLeary. He had six children; Timothy, Margaret, Michael, James, Terence, and Sheila. 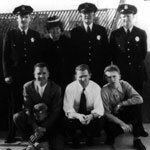 He joined the Air Force during WWII and he was the chief of the Division of Real Estate for the State of California for 20 years. He died on December 15, 1970 at the age of 51 (view Jeremiah's obituary). Daniel Mahoney married Marie. He joined the army in WWII and then became a police officer in San Francisco in 1947. He is still living in San Francisco and he is the one who provided me with a lot of the information on the Mahoneys in Ireland. Margret became Sister Mary Patrick when she joined the Sisters of Presentation in San Jose. She was always close to all of her brothers and sisters and all of their children. She passed away on February 18, 1976 at the age of 52 (view Sister Mary's obituary). James married Dottie OBrien and joined the Navy during WWII. He also joined the San Francisco Police Department in 1947 after he had returned from the war. He had six children; Thomas, Edward, Patrick, Timothy, James, and Diane. After working as a Motorcycle policeman, he worked as a circulation driver for the San Francisco Examiner. He died on April 17, 1970 at the age of 44 (view James' obituary). Emmet, born John Emmet, married Chevis Rothell around 1955. They lived in Redwood City where he was a worker for PG&E for 39 years. They had six children; Robert, Reece, John, Michael, Gerald, and James. He passed away on March 19, 1992 at the age of 62 (view Emmet's obituary). 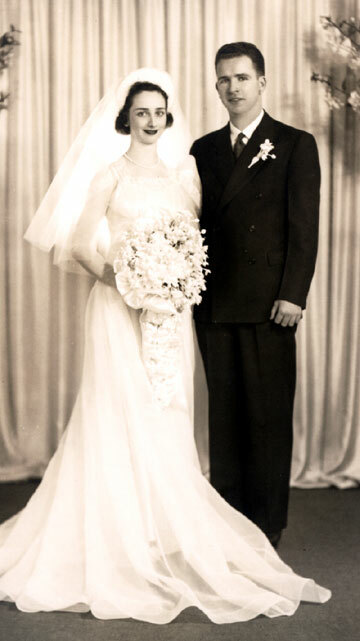 Mike and Til's wedding photo, San Francisco, May 14, 1941. My grandfather Michael Mahoney graduated from Maryknoll College in Mountain View in June, 1936 and went to MacMaster-Paine College for a short while thereafter. He married Mathilda Coughlan on May 14, 1941. They met during an event sponsored by the catholic clubs that they belonged to. They lived in several houses around the bay area while Michael worked in the wholesale liquor distribution business where he would eventually become the Vice President of McKesson Liquor Distribution. They would eventually settle at 14601 Aloha Ln. Saratoga, California and have 6 kids: Timothy, Daniel, Gerald, Patrick, Marilyn, and Ann.